When a Ducati 900SS rolls into a workshop for a big-budget overhaul, it usually leaves a few weeks later looking just like it did when it rolled off the production line in the 90s. 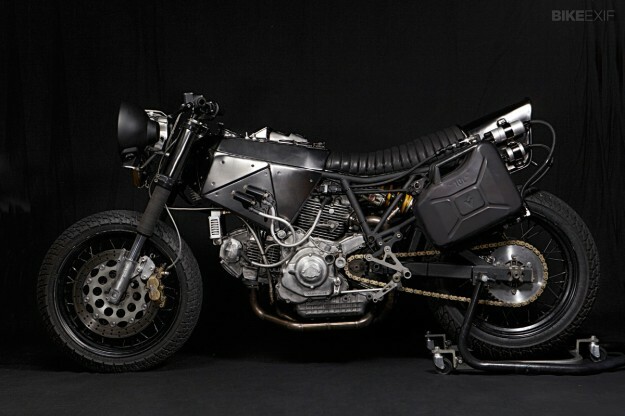 But not this one: only the most eagle-eyed Ducatistas would recognize it, with the engine cases being the giveaway. The builders at the Galician workshop El Solitario march to the beat of a different drum, and a very seductive beat it is too. ‘Petardo’ means firecracker, and El Sol’s latest custom is an explosive celebration of two-wheeled mechanical complexity. Curiously, it works. 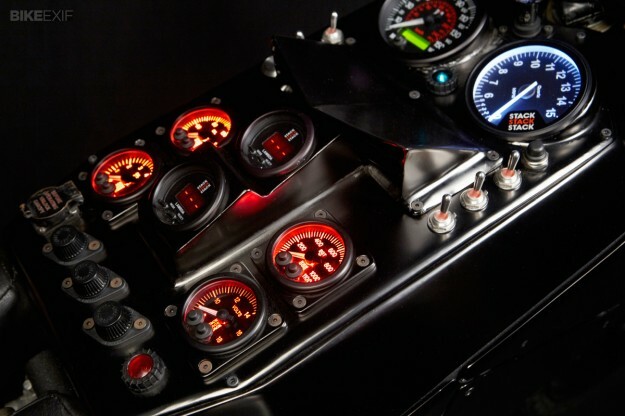 The panel of Stack gauges on the tank is mesmerizing in the metal, reminiscent of the interior of a Group B rally car. As well as speed and revs, you get readings for lambda, exhaust gas temperature, volts, and oil pressure. 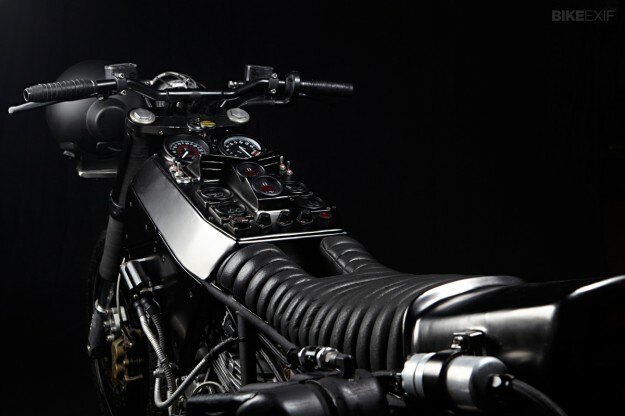 The cabling and hoses snaking around the engine invite you to explore the machine. It’s easy to imagine the forces at work inside. The effect could have been busy and disjointed, but it’s not. 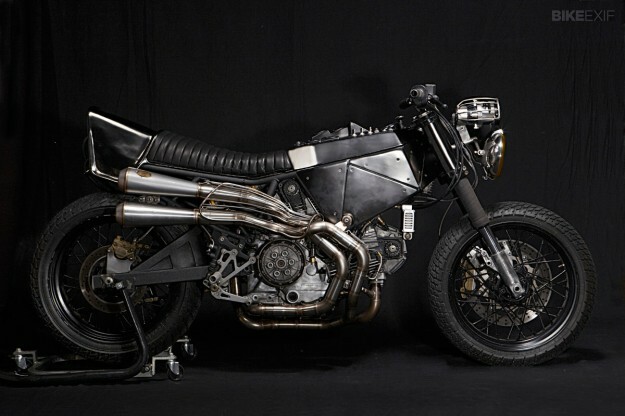 Finished in shades of black and raw metal, Petardo looks like a prop from a Fritz Lang or Christopher Nolan movie. Fuel is carried in a 10-liter jerry can at the back, and propelled to the engine via an external pump and dry-break lines. 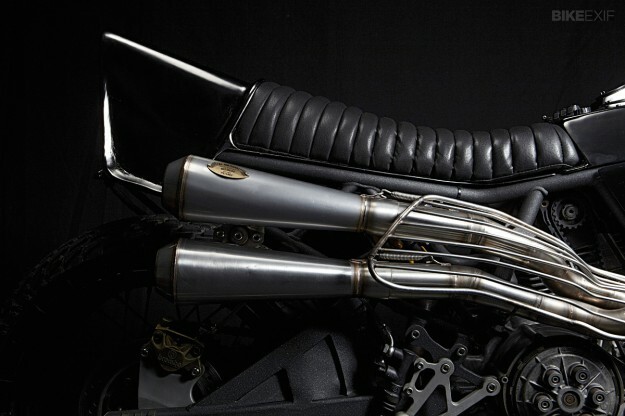 The heavily modified frame is actually from a 600SS, with a blueprinted 900SS motor shoehorned in and hooked up to a sinuous, custom-fabricated stainless steel exhaust system. The bodywork is hand-beaten alloy, contrasting with black chrome and powder coat elsewhere. 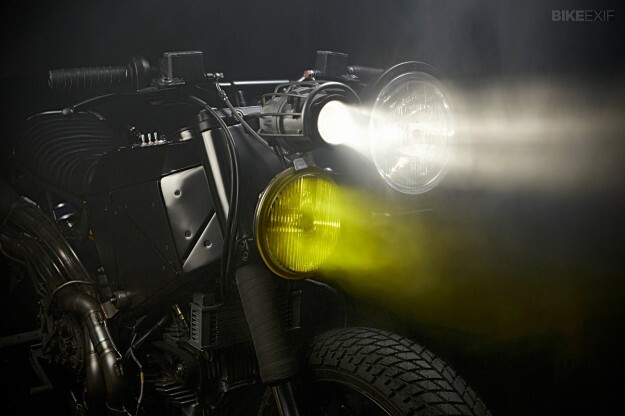 Head over to the El Solitario website for more images—all shot by Kristina Fender. Since these studio shots were taken, Petardo has been upgraded with Desmosedici Öhlins forks, a custom Öhlins shock, and a full brake system from ISR.